The Aptos Village Plaza shopping center is located in the heart of Aptos Village, and offers a number of highly rated restaurants and service businesses. 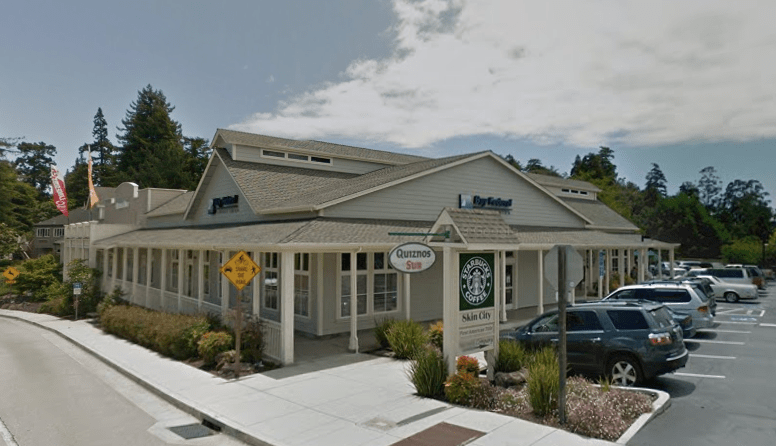 The shopping center itself is located on Soquel Drive, but the businesses inside the center are actually located on Post Office Drive, which extends through the shopping center itself. There’s plenty of parking. Some of the better-known businesses in the shopping center include Starbucks Coffee, Bay Federal Credit Union, Cantine Wine Pub, and the Warmth Company, and the Mulberry Gallery.